According to some previous research, students’critical thinking skills are poorly trained due to more teacher centered learning. This study aims to determine the effect of problem based learning (PBL) model on critical thinking skills in material colloidal system. 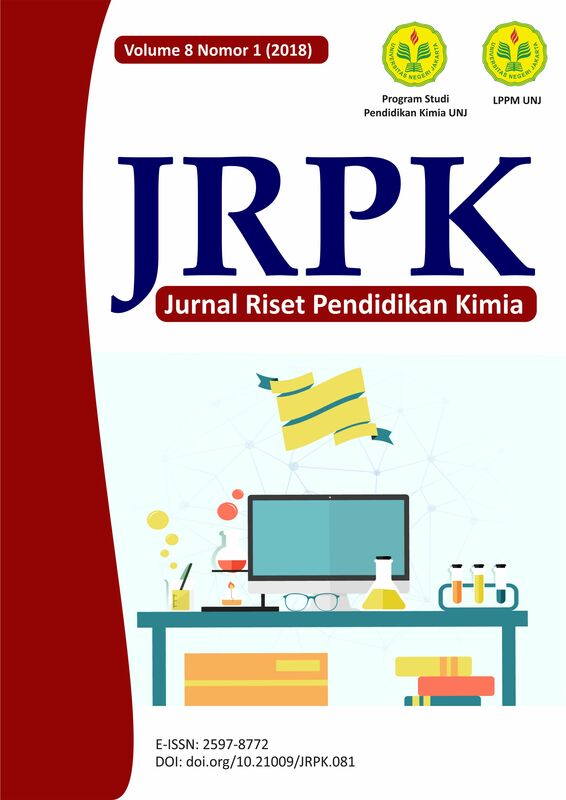 This research was conducted at SMAN 10 Kota Tangerang Selatan on Februari even semester of 2016/2017. The method used in this study is quasi-experimental research. The sample used in this study is 30 student in control and eksperimen groups. The sample was taken by purposive sampling. The prime instrument in this study is through 10 items of essay test instrument which is analyzed by using t-test. Hipotesis test using software SPSS version 22 with result showed that Sig < α, or 0,000 < 0,05 value lies in the region reject H0 and accept H1. This shows that there are an effect of problem based learning (PBL) model on critical thinking skills students. Problem Based Learning (PBL) model, Critical Thinking Skill,Colloidal System.